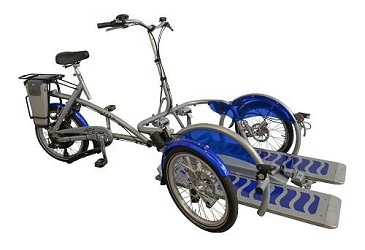 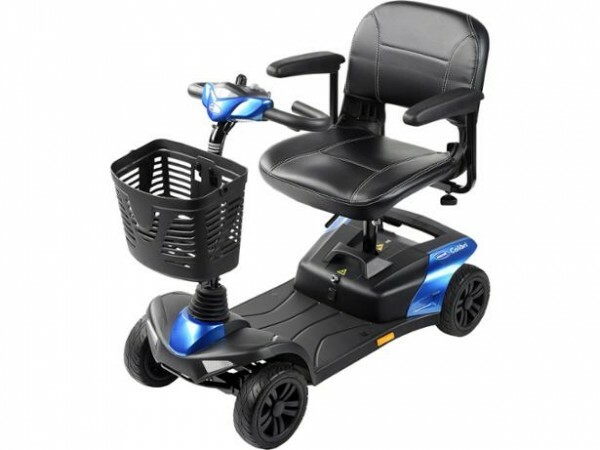 A stepthrough frame makes it easy to get on and of the bike.The granny has a backcarrier for small backpacks or suitcases.The bikes are provided with lights and 2 locks. 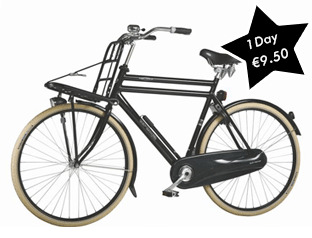 The pick up bike has strong rack on the front for pic-nicbaskets or just your luggage. 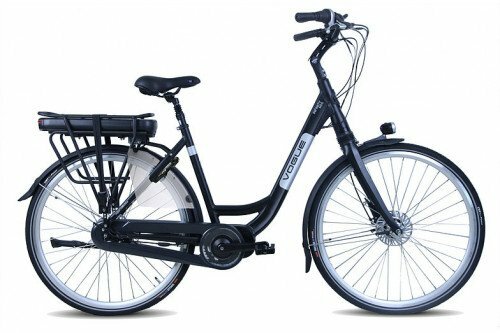 The bike has a backpedal brake.Lights and 2 locks are provided. 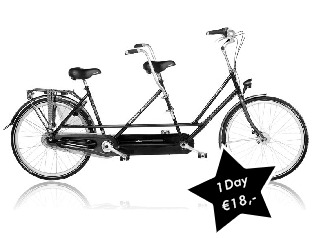 We have for the more romantic type a tandem,lights and 2 locks are provided.Fun for 2! 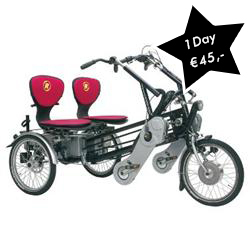 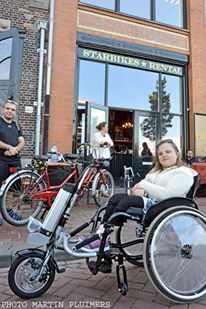 This bike is special designed for people with a mobility or balance problem.It is a great way to see the city or the beautiful Amsterdam hinterland.The bike has electric support. 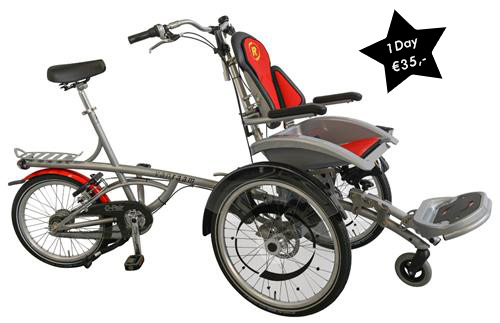 We have a bicycle specially designed for disabled: a model that incorporates a wheelchair.